California's coastline is dramatic and beautiful. It's lined with large cities, college towns, and impressive parks and wildlife areas. 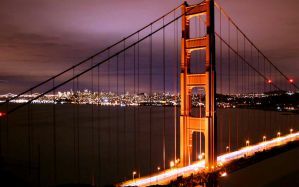 California State Route 1 runs along the coast and lets visitors see much of the dramatic beauty up close. There are a handful of hostels that are strung along the coastline in California. Most hostels are found in major cities or towns, but there are occasionally hidden gems in parks or more remote settings. These off the beaten path destinations may even become the highlight of your trip. How much do hostels in Santa Barbara cost? A great hostel in Santa Barbara for solo travellers, backpackers, and small groups. The Wayfarer, in Santa Barbara, is a top rated hostel in California. It sits along the famous Urban Wine Trail and is near more than 20 different wine tasting rooms. There are also many excellent restaurants, shops, and art galleries in the area. The hostel is just one block from State Street and it is one of the best and most affordable hostels in the area. Whether you're in Santa Barbara for the food, wine, or beach, the location can't be beat. It's also just a few blocks from the Amtrak Station and is about fifteen minutes from the airport. The hostel has a variety of amenities available for guests including a complimentary breakfast every morning, a shared kitchen where guests can prepare their own meals, and an on-site pool. There is also wi-fi throughout, laundry facilities, and concierge services. 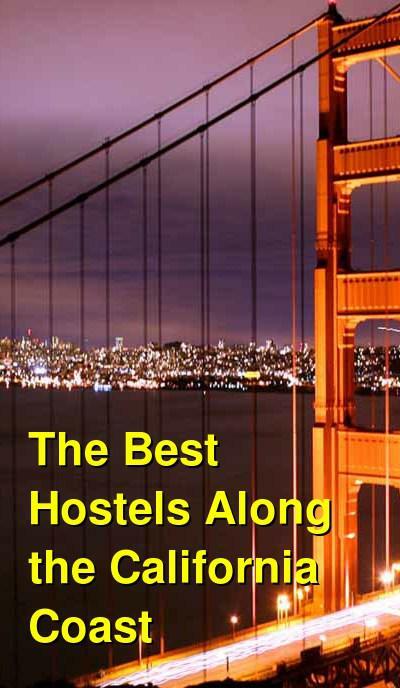 This hostel is one of the best reviewed hostels in California. It's clean, comfortable, and a relaxing place to stay. It's well designed and has a lot of character, and it has a mellow environment where it's not hard to meet other guests. A good hostel in Monterey for solo travellers, backpackers, and groups. Another top rated hostel along the California coast, HI Monterey is located in the Monterey area, which is about halfway between Los Angeles and San Francisco. It's near the northern boundary of the Big Sur coastline and it is a great place to spend a night or two while exploring the California coastline. There are plenty of activities that you can enjoy in and around Monterey. The aquarium is impressive and there is whale watching available if the season is right. Big Sur is also a uniquely beautiful place to visit. The hostel is located just a five minute walk from the aquarium. Cannery Row is also close by and you can walk to many great restaurants and bars. Monterey is known for its great festivals and events. The hostel has some great amenities available for guests as well including a large kitchen, a spacious common area, free parking, free wi-fi, and a pancake breakfast every morning. The staff are also knowledgeable and helpful. A great hostel inside Point Reyes National Seashore. HI Point Reyes is the perfect place to retreat to about two miles from the beach in Point Reyes National Seashore. It's the only accommodation that is actually located within the park and it makes a great base to enjoy hiking and wildlife viewing in the area. The hostel is also a Certified Green Business that focuses on sustainability and environmental awareness. The hostel has dorms that are either gender specific or co-ed and most dorm rooms sleep between eight and ten people. There is also one private room that can accommodate up to five people with a double bed and three twin/bunk beds. All of the bathrooms in the hostel are shared. The hostel also has a fully equipped kitchen which guests can use to prepare their meals. There's an outdoor patio with picnic tables and a barbecue area as well. This is a truly unique and impressive place to stay and should not be missed for any outdoor enthusiast. The area is known for its scenic beauty and wildlife. The closest town is Point Reyes Station which has a few locally owned shops and restaurants that line Main Street. There's also a weekly farmers market during the summer months.